It’s not often that bass players get to play with just one other instrument, but this modern but accessible piece provides a double treat – a duet, and for two bass players. It was written in 1992, and its rhythms are derived from folk music. It’s not easy, but bassists will have fun learning it. Both players play from the same score, so keeping together, by seeing the other player’s part, is made easier. 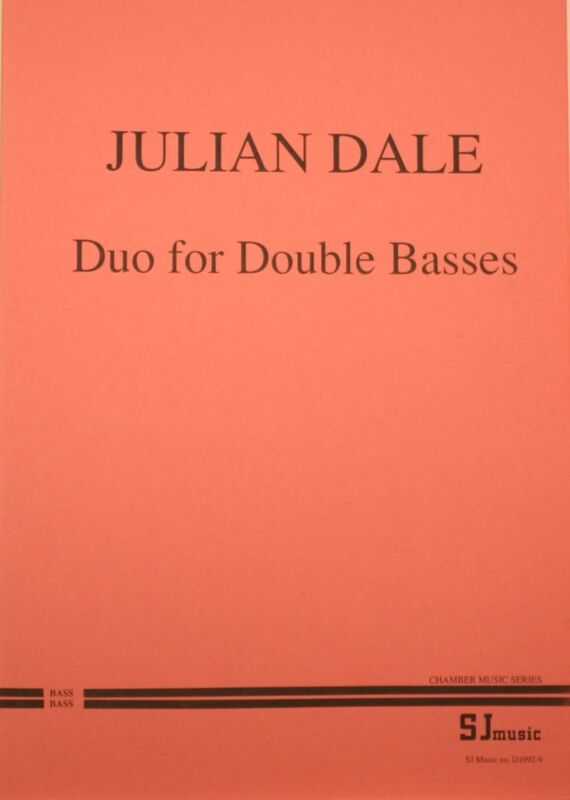 Julian Dale was born in 1954 and works as a freelance bass player and composer in Bristol. His music has been broadcast on BBC Radio 3 and Channel 4 television.